Woodyard recorded 14 tackles in Sunday's 33-17 loss to the Colts. Woodyard tallied 10 tackles and a sack in Saturday's 25-16 win over Washington. 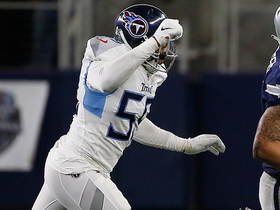 Analysis: Woodyard shed a questionable tag late in the week and led the Titans in tackles while also upping his sack total to 4.5 on the season. 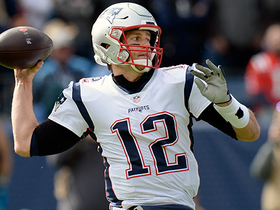 The performance marked the fifth time that he's reached double-digit tackles, though it was the first time he did so since Week 10 against New England. 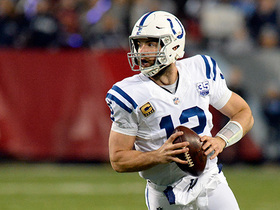 He needs to take down a ball carrier just once in Week 17 to record his second consecutive 100-tackle campaign. 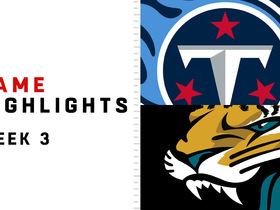 Woodyard recorded seven tackles in Thursday's 30-9 win over the Jaguars. Analysis: Woodyard tied for the team lead in tackles, though he didn't manage any other defensive statistics in Thursday's effort. He has now failed to record a sack in four consecutive games, but he's tallied a minimum of six tackles in that span. 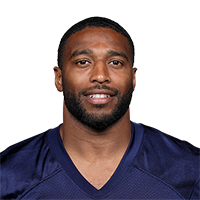 Woodyard recorded eight tackles in Sunday's 38-10 loss to the Colts. Analysis: Woodyard filled his normal role as one of the Titans' leading tacklers, finishing with fewer than only Adoree Jackson. When healthy, Woodyard has made a consistent impact, recording fewer than eight tackles only once in a full game. 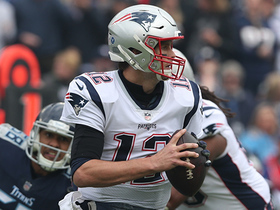 Woodyard tallied 10 tackles and 1.5 sacks in Sunday's 34-10 win over the Patriots. 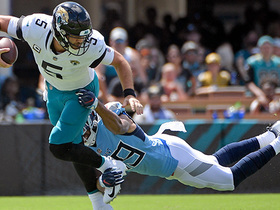 Analysis: Woodyard led an active Titans pass rush Sunday, registering three hits on the quarterback to go along with his 1.5 sacks. He now leads the team with 57 tackles despite missing most of October due to injury. He's been especially productive since returning to the field Oct. 21, recording 24 tackles and 2.5 sacks across three games. Woodyard recorded eight tackles and a sack in Monday's 28-14 win over the Cowboys. 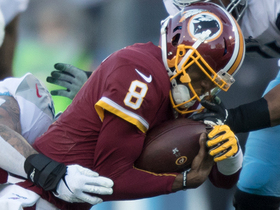 Analysis: After injury prevented Woodyard from making much of an impact throughout October, he took an active role in the Titans' defense Monday. The eight tackles were his highest total in a single-game since Sept. 23. Now apparently healthy, Woodyard will look to make a similar impact in Week 10 against the Patriots. 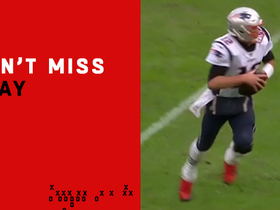 New England Patriots quarterback Tom Brady rolls out as a wide receiver out of the backfield on this trick play. 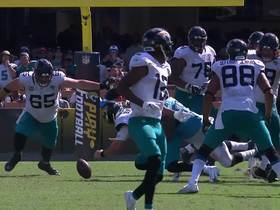 Jacksonville Jaguars recover a fumble from quarterback Blake Bortles after a strip-sack by Titans defensive end Jurrell Casey. 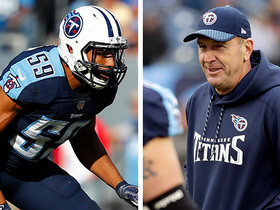 Titans linebacker Wesley Woodyard talks about head coach Mike Mularkey and the mentality he has brought to the team.